I am a BIG fan of zakka (Japanese term for ‘杂货’) which is basically referring to home improvement and/or lifestyle products for either decorative or practical purposes. I guess it’s also because of my interest in food styling and photography that I’ve started collecting zakka since a few months back. I’ve so many new stuffs sitting around in the house that I’ve to self-revamp the kitchen and office just to create more space for storage. It’s insane! Guess I have to start letting go some things on eBay soon if I bear to part with them, haha. Anyway, I just wanted to share about a shop that I stumbled upon when I was in Chinatown. 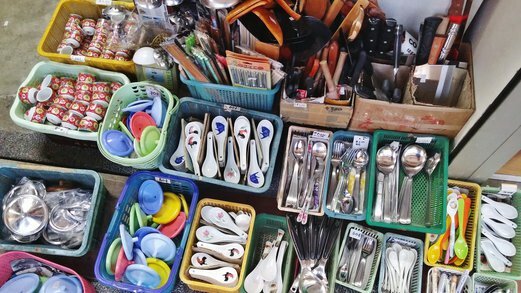 It was selling old-school tableware and crockery that really brought back a lot of fond memories. Though I was born in the 80s, I was lucky to have experienced life in a kampong (‘village’ in Malay) before they totally disappeared from Singapore due to urbanisation. I kinda remembered how my great-grandmother used to serve up home-cooked meals in these enamelware that’s so rare in Singapore now. 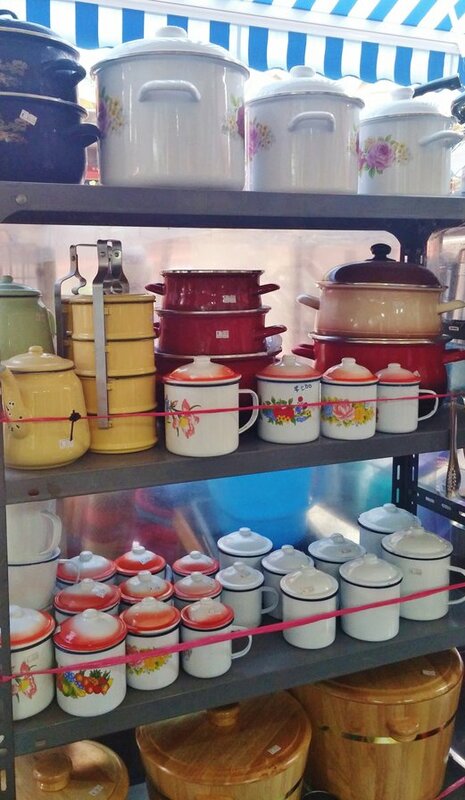 I had been looking for enamelware for quite some time so when I finally found them at Hai Seng that was located opposite the Chinatown Complex Market & Food Centre, I was just over the moon. 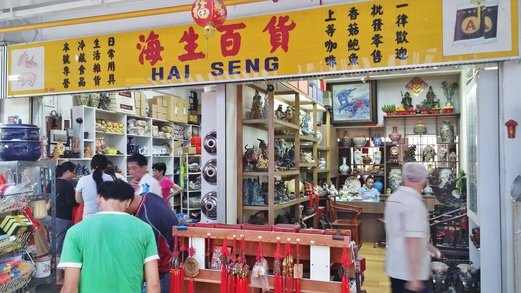 Hai Seng had two shop units under its signboard. But it was the unit on the left that I was most interested in. I couldn’t resist picking up stuffs just to marvel at the workmanship or design while having flashbacks running through my mind. The lady shopkeeper was initially not very friendly probably because she didn’t think the younger generation would be interested in stuffs that our grandparents used. Or maybe because I was picking up and putting down ‘fragile’ stuffs repeatedly that she thought I might just break something accidentally, lol. Anyway it wasn’t that bad. I made small talk and showed such great interest in her products that she eventually warmed up and even allowed me to take photos. 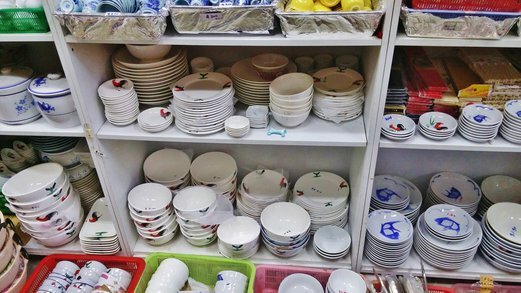 She was even saying that old school crockery are hard to find because very few manufacturers in China make them now. 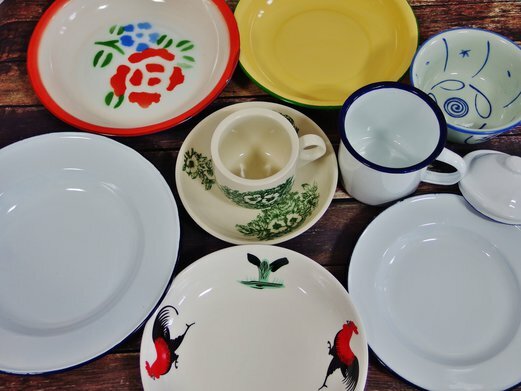 These enamelware really got me excited! Haha. I was just thinking if I should buy one of each design but I resisted! 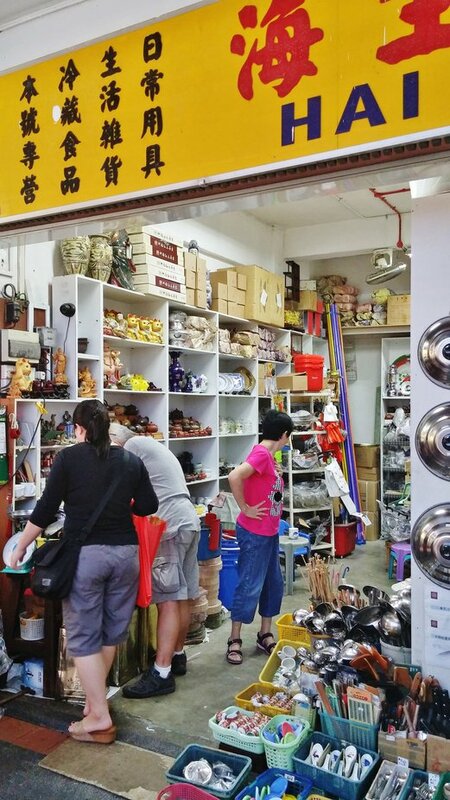 There is a shop opposite Tiong Bahru market that sells the same enamel dishes and mugs at more than double these prices probably because they are selling them as ‘collectibles’ rather than household goods. So you can now imagine how reasonable the prices here are. Do note the enamelware is not perfect i.e. every piece comes with a minor defect like a tiny chipped edge, dent or scratch mark so it’s not suitable for ultra fussy folks. 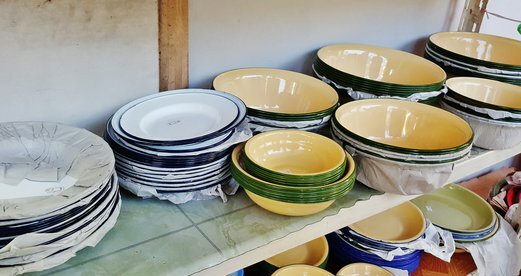 But to me, that’s exactly the beauty of imperfection and it’s also what makes these low-priced ware seems so unique. Thought you may want to know that the enamel mug that you got a year ago is now $9 without cover. Hi…the prices now have all increased almost 10 times…. 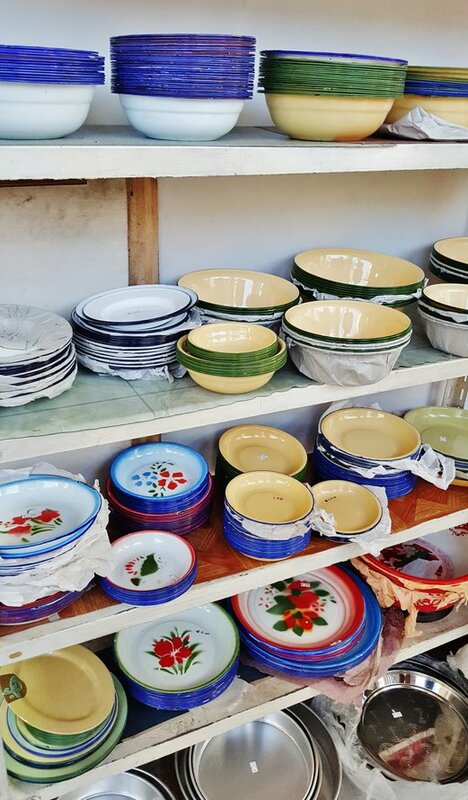 Note their enamelware are priced according to their thickness & quality so you’d have to dig further in the shop for the more affordably priced ones. Ask the auntie at the counter to help if you can’t find. Hi, im crazy about this, can i purcahse one ? deliver to jb ? I need 6 enamel mugs for coffee, 4 plates to eat rice, bowls for noodles, chopsticks, & 2 large almost flat enamel plate for my fur baby to eat & drink, keyi ma ? Please contact them directly on their Facebook page. Love the enamel stuff! If you are interested and don’t mind paying for the quality of the products, buy online. Google Falcon enamelware. There are lots of it in different vibrant colours and designs.